Rikkar stood on the intricately cobbled path and gazed up at the fabled Gurubashi Arena. 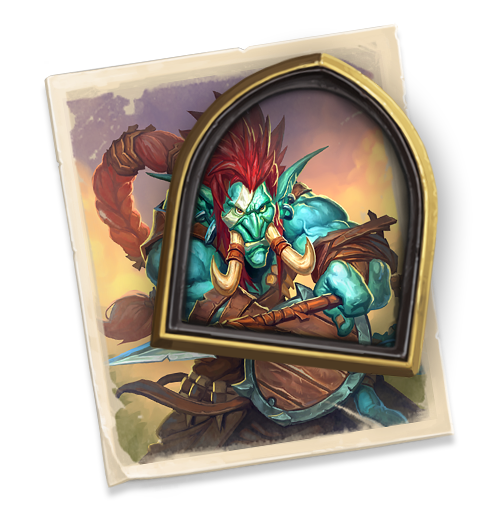 Ever since he was a little troll, he’d dreamt of being here, preparing to compete at the legendary Rumble. 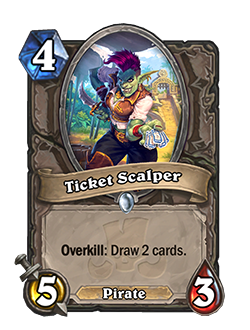 As the crowd streamed past him toward the gates, he paused to savor the moment: the thrill of anticipation on the air, the roar of the crowd in the stands, the grimaces of pain as chumps paid the scalper for last minute tickets. 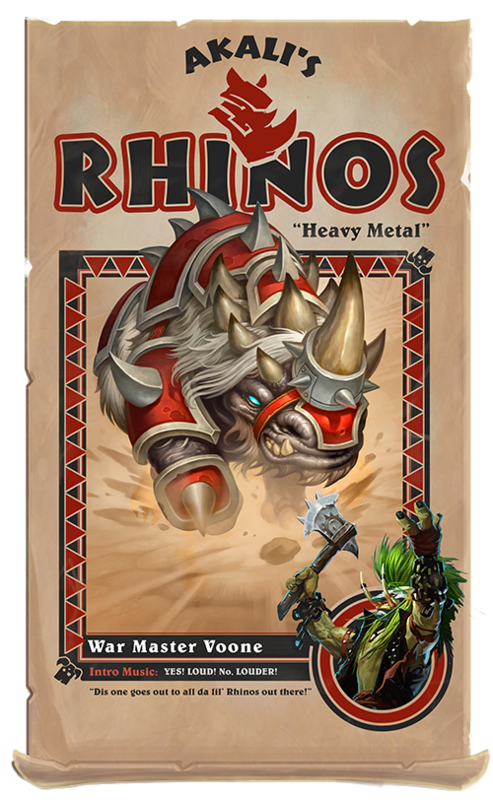 Nothing in the world was like Rastakhan’s Rumble! Rikkar had spent his whole life preparing for this moment (and bought his tickets two years ago. He wasn’t foolish). 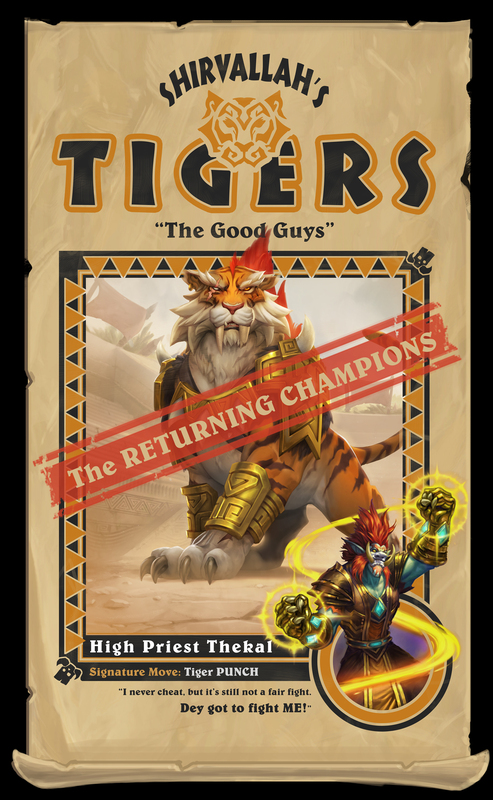 Last time the Rumble was held, Rikkar was small enough to watch the action from his father’s shoulders, screaming at the top of his lungs along with the crowd as he witnessed High Priest Thekal clinch the final for the Tigers over the Sharks. He knew it then: someday HE would be down on the sands, and the crowd would be roaring HIS name! As he joined the long line leading into the arena, the team posters that adorned the walls caught his eye. They were pristine, unlike his well-loved, but creased and faded collection back at the village. The Tigers! Now there was a team! Rikkar could see himself earning Shirvallah’s favor and wearing the gold. He’d been training all his life: he had the eye of the tiger . . . the thrill of the fight . . . the wing of a bat . . . and a few other animal parts, just in case. Rikkar came prepared. 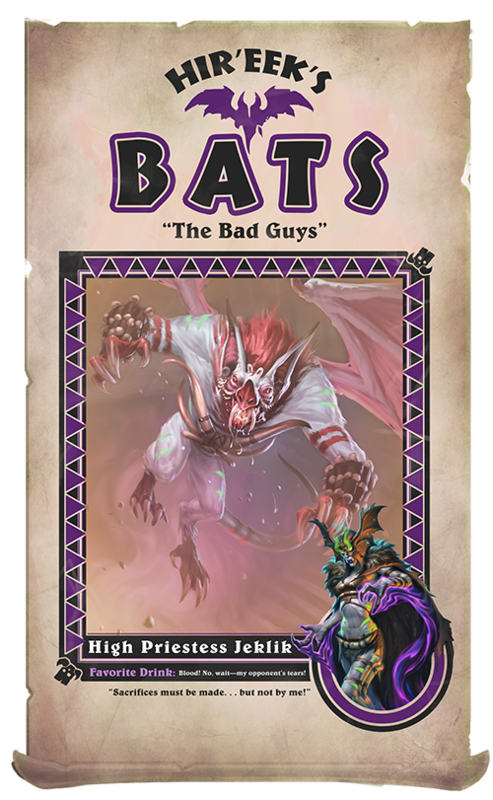 One thing you could say for the Bats, Hir’eek’s team knew how to get the job done. And shriek. And do absolutely anything it takes to win. Rikkar had to respect the initiative. Why be a Bat when you could be a Rhino though? No fancy tactics or thinking. Got a problem? Smash it! Don’t got a problem? Smash it anyway! Plus, everybody loves War Master Voone. Not only are Voone’s parties legendary, rumor has it that he’s got friends in high places. 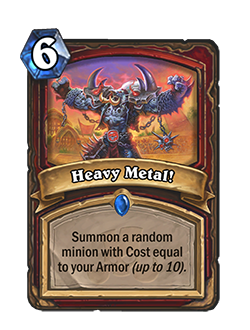 Blackrock Mountain is pretty high up, right? Rikkar couldn’t believe it. Twenty years later, he was finally part of the crowd thronging into the Gurubashi Arena. His heart was resolved: he wasn’t just here to watch the spectacle this time. He was here to compete! Somehow. . . . He just needed a chance to prove himself! But which team would he join? Which Loa would he pledge himself to?